A chilling and utterly compelling thriller that you won’t be able to put down! 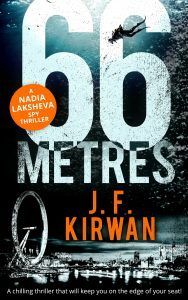 66 Metres is an excellent debut novel for J.F. Kirwan. I don’t recall ever reading a novel where so much of the story takes places underwater (without being set on a submarine), but Kirwan’s diving experience combined with his descriptive style made it easy to imagine how these scenes played out. I learned a lot about the ocean, currents and diving, and would love to see a shipwreck one day! In this first outing, Nadia is a fledgling spy. After 3 years of intensive training and 2 years on operations, I expected her to be more advanced in her trade. Basics like situational awareness, spotting a tail and maintaining focus on the job should be second nature to her. To be fair, she is operating against her will, but for such a smart character, she is easily distracted. Nadia is an extremely likable character though and showed tremendous development throughout the book. Her adaptability and quick learning style offers hope that she will evolve into a true professional agent during the next book in this series. I, for one, look forward to her next adventure! ‘Let’s see if you can really shoot. Give her your pistol,’ Kadinsky said to one of the henchmen, the one with a pockmarked face – Pox, Nadia named him – who immediately lost his sense of humour. She took the weapon from his outstretched hand, weighed it in her palm. An old-style Smith & Wesson. God knows why the guy had it. Most blatnye preferred semi-autos, Makarovs or the older but higher-velocity Tokarevs. She checked that it was loaded, all six bullets nestling in their chambers. She glanced at Kadinsky, thought about killing him. But the other henchman, the fat one with slicked black hair – hence, Slick – had his Glock trained on her, his lopsided leer daring her. Nadia stared at her sister and the rose. Most of it was behind her head. Only one leaf of the scarlet blossom was exposed. She swallowed, then lifted the revolver, and took up a shooting stance like her father had taught her. Right arm firm, elbow not fully locked, left hand under the fist, prepared for the recoil. She had to do it before anger built and disrupted her concentration. She cocked the hammer, lined up the shot, then spoke to Katya’s serene, trusting face: ‘Love you,’ she said. Then she breathed out slowly, as if through a straw, and squeezed the trigger. Masonry exploded behind Katya. The crack was so loud that three other men burst into the room, weapons drawn. Kadinsky waved them back as Pox peeled the revolver from Nadia’s stiff fingers. Petals fluttered to the floor amidst a plume of white powder from the impact crater in the wall. Katya sat immobile, pale, the hair on the left side of her head ruffled as if by a gust of wind. A trickle of blood oozed from her left temple, and ran down her cheek. Katya, lips trembling, beamed at Nadia. ‘Still alive,’ she said, her voice hoarse. She touched the graze with an unsteady forefinger. Nadia began to shake. She folded her arms, refusing to give Kadinsky the satisfaction. 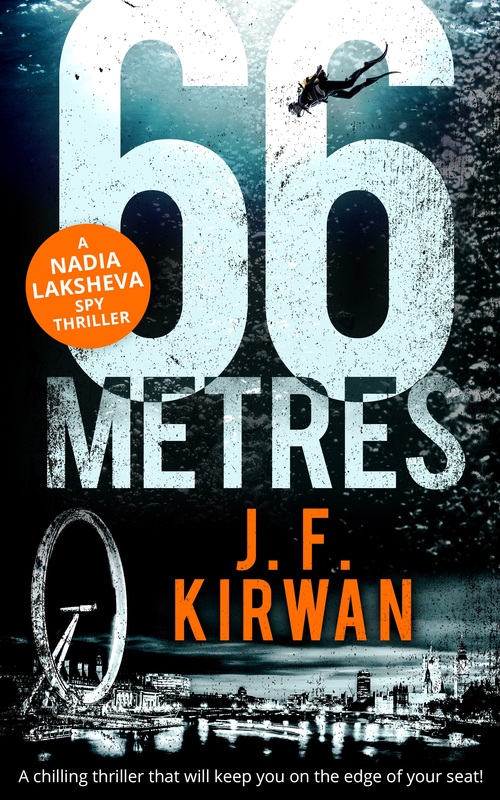 Excerpt from 66 Metres by J F Kirwan. Copyright © 2017 by J F Kirwan. Reproduced with permission from J F Kirwan. All rights reserved. Barry (JF) works by day in aviation safety, and writes at night. 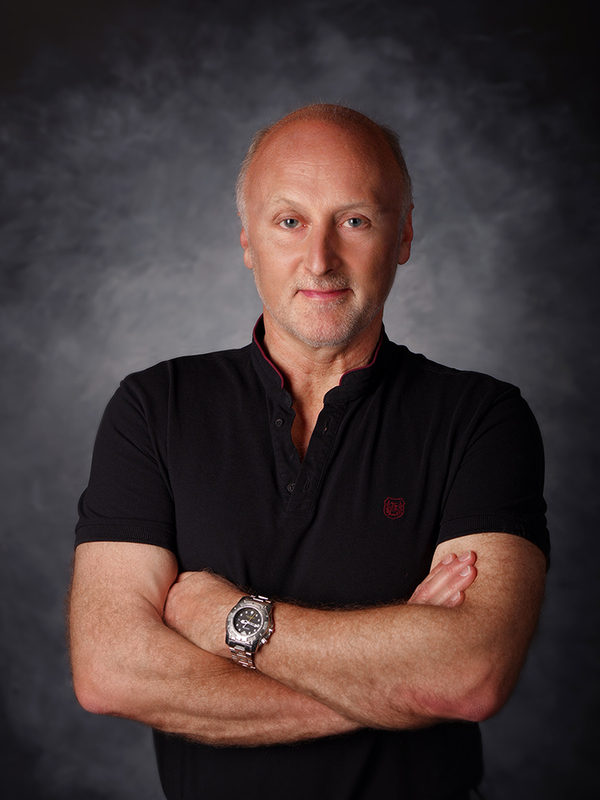 He is also a diving instructor and has dived all over the world. He got hooked on writing when people started arguing about his characters as if they were real people. He is married and lives in Paris, because the coffee is better there, and he needs coffee to write. This is a rafflecopter giveaway hosted by Partners in Crime Virtual Book Tours for J F Kirwan. There will be 4 winners of one (1) $10 Amazon.com Gift Card! The giveaway begins on July 16 and runs through August 2, 2017. After reading your review, and seeing other rave reviews, I know I have to read this book! I think you’ll enjoy it! I’d love to hear your thoughts after you’ve had a chance to read it. Thank you! I’m looking forward to book 2 in this series! I too loved this book and am looking forward to the next in the series!